One thing about cycling on the pavement is that it is highly visible nuisance. Motorists using mobile phones, passing too close, not paying attention are accidents waiting to happen, but it is not so obvious. It is easy to ticket a cyclist on the pavement, it’s harder to ticket a driver who passes far too close to a pedestrian / cyclist. No excuse for cycling on the pavement here, though amazingly I still some people on bikes use the pavement! Is cycling on the pavement ever justified? It’s inconsiderate to pedestrians. I appreciate that if you are a pedestrian and a cyclist comes past you at speed, it is unpleasant. Just as I want roads to be safer for cyclists, I want pavements to be safer for pedestrian. I’m not just a cyclist. 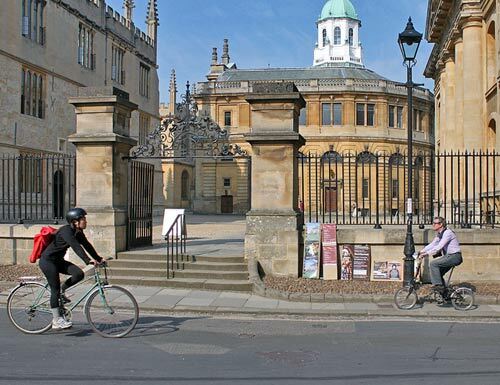 I do often walk around town; it is annoying when an arrogant young person on a bike goes charging through a pedestrian area. I want to be able to cycle on the road / cycle paths. On rare occassions, you have to be ready to jump onto the pavement to avoid getting squashed. Daily Mail readers may damn you. But, it’s more important to stay alive. However, having said all that. There have been times when I thought this road is so bad and dangerous I really would rather pay a £30 ticket than risk getting killed. Mostly in New York. I don’t like doing it, but then I really can’t face dicing with 3 lanes of traffic travelling at 50mph. When I have cycled on the pavement, it was always at walking speed, with the intention of giving way to any pedestrian. If I myself was a pedestrian I would have been sympathetic to the plight of the cyclist. It is like when I see a young kid cycling on the pavement at barely walking speed. Personally, I feel glad they are on the pavement and not on the road. By contrast, when I see a teenager charge down the pavement, it is annoying and I wish they would get a ticket. The other time I occasionally use the pavement is when a big vehicle is trying to go through a narrow road between parked cars. 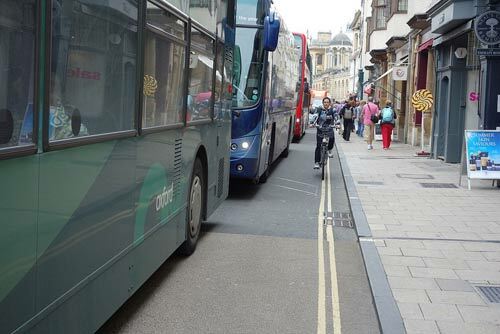 By going onto the pavement the vehicle can squeeze through the gap of parked cars. Always I get a wave from the driver because he is grateful I’ve used my common sense to let him past. 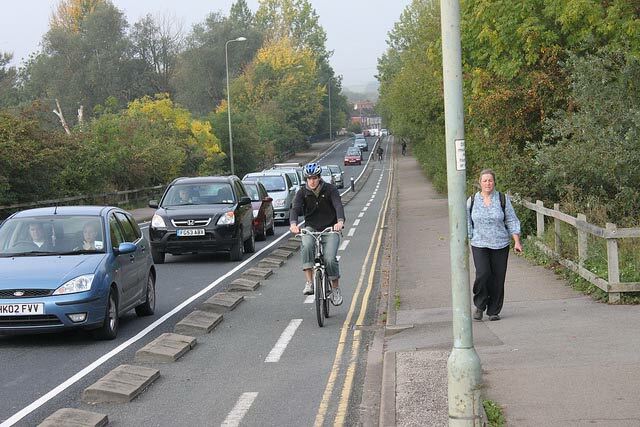 How to stop cyclists using the pavement? Ticketing. I think it is good to enforce rules of the road. The recent crackdown in London on bad cycling and bad driving has good benefits. I would only say that the police should use discretion, by all means give fine to rampaging cyclists, but if someone is just avoiding a dangerous junction and cycling very slowly, they should use their common sense and discretion. Give alternatives to dangerous roads and road junctions. 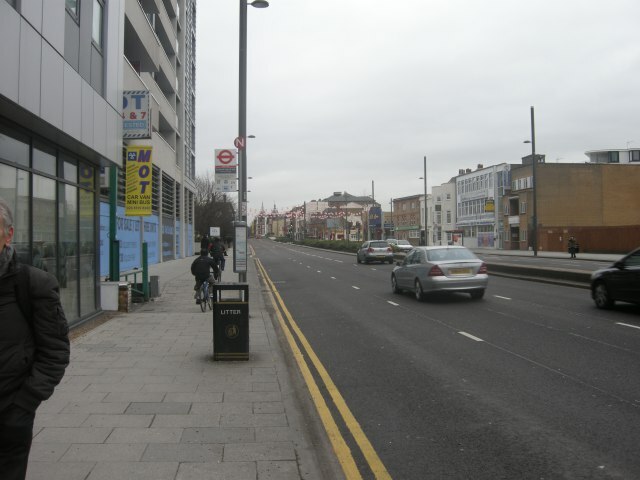 Do we need three lane motorways in city centres? Can we not give more space to cycle paths. Is cycling on pavement in the Netherlands a problem? not as far as I’m aware because there isn’t the same dangerous layout of roads. Using discretion enforce the rule and penalise cyclists who are flouting the law about cycling on the pavement. However, there should be discretion shown about the manner of cycling on the pavement. There is a big difference between a child cycling slowly on the pavement to avoid a dangerous junction and an older cyclists cycling furiously, just because they are impatient. Provide safe alternatives to cycling on the pavement. Consider more separate cycle facilities or at least shared use facilities around dangerous junctions. I am sympathetic to pedestrians who want to be able to walk in peace on the pavement. I hope people on bikes would become more considerate. Just as I hope drivers would also become more considerate. For those who are entirely unsympathetic to any difficulties cyclists face, I wish they would cycle from one side of London to the other. If petrol heads like Clarkson actually cycled in London, I’m sure he would understand why at times, you need to think of self-preservation. Police to meet Stop killing cyclists pressure group to consider more discretion in enforcement of pavement cycling rules at Cycling Weekly. As someone who first rode a bike at 28, I’m put in a precarious position. I don’t want to inconvenience cyclists, but I find roads terrifying. The level of skill required to ride on the roads is not trivial. As I can’t even raise my hands to signal without falling off a bike, I can’t really consider it right now, unless the road has barely any traffic. I get the feeling that complaints about nuisance cyclists are levelled at people charging down pavements at high speeds? For someone who is learning and is riding relatively slowly, as long as I dismount when there are pedestrians about, I don’t think there should be a problem with it. That said I am slowly trying to ride on roads more and more. But if a car comes up behind me and I can’t even sense how close it is, or it tries to go around me, it’s genuinely scary. I can’t even imagine riding 50mph+ on busy roads surrounded by trucks and buses, sheesh! I’m a pedestrian, Yes, I agree laws should be abided… but also, yes there are times that can be a little dangerous, especially for newer riders like Mr Harris in the previous reply. I live on a main road which traffic has been known to get out of hand. It also has a double roundabout at its most busy end and often share a narrow strip of path with cyclists as they dodge the often confusing and dangerous roundabouts. They Need to remember to use their Bells!! Once on 25th and 3times on the 26th, all cyclists came up behind me without warning that they were on the path and close, the amount of traffic often drowns out the sound, I would have heard a bell and would happily make way, one was even smoking a dodgey substance and blew it in my face as they passed. There are no visible signs to state that bikes are to share the paths, no matter how narrow. I don’t wish to sound like I am moaning, I often look behind me, passing obstacles on the path or not, and even more so when I have my 3year old daughter with me, but don’t always see cyclists who like riding up in the middle of the road or in between traffic. My reactions may also be magnified by other issues that have caused myself and my daughter to be more nervous and often too scared to even go outside of our own home some days. But I think that it should be addressed that cyclists should pleeeaaassse give pedestrians as much warning as possible when on a pavement for any reason.